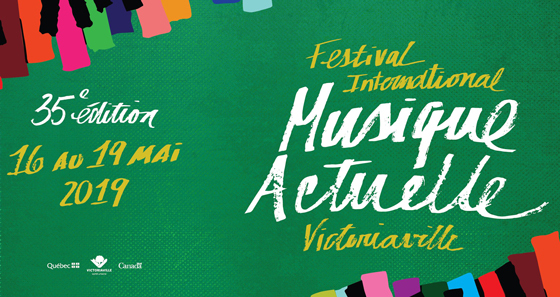 Quebec's Festival International de Musique Actuelle de Victoriaville is celebrating its milestone 35th year, and organizers have now revealed the lineup of acts set to mark the occasion at this year's festival. Taking place from May 16 to 19 in Victoriaville, QC, FIMAV will feature nearly 100 artists from 15 countries, including Greece, Japan, Iran, Australia, Mexico, and Indonesia. Acts set to play the 2019 edition include Keiji Haino, Peter Brötzmann, the Vijay Iyer Sextet, Peggy Lee, Barre Phillips, Heather Leigh, Kim Myhr, Bang on a Can All-Stars, Joane Hétu, Tyshawn Sorey Trio, Senyawa, Moor Mother, Roscoe Mitchell, John Butcher and more. A pre-sale for festival passes is currently underway, giving the holders access to all concerts and experimental short film programs. They can presently be had for $270, a savings of $90 off the regular price. The complete lineup of acts can be found through FIMAV's website. A full festival schedule is set to arrive in March, alongside festival passes and individual show tickets. Vijay Iyer Explains What It Means to Be "Jazz Famous"